Virginia “Jinny” Lee Ferguson, 83, of Fremont, OH passed away surrounded by her loving family on February 12, 2019 at Fireland Regional Medical Center in Sandusky, OH. She was born on May 21, 1935 in Marion, OH the daughter of Howard and Dorothy (Southward) Saunders. 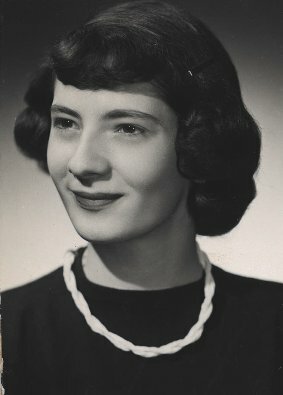 She was a 1953 graduate of Harding High School. Jinny married Floyd Ferguson on July 25, 1955 in Indiana and he survives. She was employed at S.E. Heyman Company as a seamstress for over thirty years until she retired in 1994. She enjoyed gardening, crafts, bird watching and camping. Jinny loved to spend time with her family and friends. Jinny is survived by her husband of sixty-three years Floyd Ferguson; daughters, Vickie Patterson, Brenda (Gerald Lamb) Lagrou and Michelle Brake all of Fremont; siblings, Mary Gibson, Bellevue, David Saunders, Fremont, Judy Warwick, Pennsylvania, Virgil Saunders, California, Harold “Mike” Saunders, Minnesota, Joe (Gill) Saunders, Fremont and Richard (Lisa) Saunders, Alabama; grandchildren, Rachel and Jon Patterson, Erica Payne, Kyle Lagrou and Justin Malavolti, nine great-grandchildren, one great-great-granddaughter and Godson, Steve Saunders. She was preceded in death by her parents; siblings, Don Saunders, Barbara Jean Patrick, Ellen Binkley and Earl Saunders. Memorial Service: Monday, February 18, 2019; 11:00 a.m. at the funeral home. I will miss your hugs, your cards, and your messages telling me how proud you were and how much you adored Delaney. Aunt Jinny….you were a one of a kind Aunt…you were special to me and I will miss you. So, very sorry to hear this. I worked with Jinny at Hyman’s years ago. My condolences to the family. May God give you the strength to get through this. I am honored and blessed you were in my life Aunt Jinny. You will forever be missed and I’ll miss your hugs. To the Ferguson clan, may care and love of those around you provide you comfort and peace to get you through the days ahead. Sher’s and my most sincere condolences! So sorry. I know she will be missed. Wishing your family peace and strength. May God bless you all. Everyone always liked your mom. She will be missed by everyone that knew her. May she rest in peace. So sorry to hear about Jinny. I remember her as always happy and smiling. My thoughts and prayers to the family. May she rest in peace. My deepest condolences to your family. May God guide you through this time of sorrow. I worked with Jinny for 15 years at S.E. Hyman Co. Every time I think of the things that we did, it puts a smile on my face. Oh my gosh the things we could get into. Jinny, you will be missed by all, and I was truly blessed to have known you and share a part of your life. We’re all Gods flowers, and he only picks the best. So sorry to hear of the loss of your mother,your truest friend in life. She will be with you in spirit always.